What has made this startling late renaissance – confirmed with his straight-set victory over a woebegone Marin Cilic – arguably sweeter still than even those glory days is the doubt. Doubt that he could ever be what he was. Doubt that five years without a Wimbledon title, having once held such dominance that he won five in a row, could be an interregnum rather than the end. Doubt that six months off after his semi-final defeat a year ago, by a man a decade younger, wasn’t the thin end of retirement in disguise. You loved Peak Federer because he could control a court and find shots and angles that you could barely imagine. And then slowly he became more like you in ways you didn’t want: hurting his knee running a bath for his kids, falling face down on the court in futile chase of a Milos Raonic forehand, hair that had once been a ponytail and then bushy starting to creep back like the grass on the Centre Court baseline. When he switched to a bigger racquet in 2014, it was like seeing a flying ace reaching for reading glasses. The decline was long and it was true. After his impregnability was shattered by Rafa Nadal in 2008, two more Wimbledon titles came – but they sandwiched two quarter-finals defeats and were succeeded by second-round humiliation to a man ranked 116 in the world. Against a player like no other, Federer’s opponent also has to accept that the crowd will be stacked against them too. There is partisan, and then there is Centre Court when its greatest champion is back for more. Fortune has come his way in the last few weeks. This was the first time in almost eight years that he hadn’t had to play one of the other Big Four en route to a Slam final. There was still doubt on Sunday morning, just as there had been when Berdych had been offered six break points in the semi. 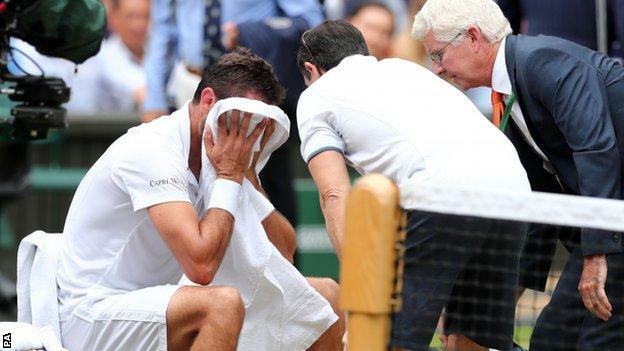 There was worry among the faithful about what Cilic might do after that US Open thrashing in 2014 and having reached the final at Queen’s last month, at least until the match began and a procession ensued. But there was conviction again too, with the narrative of the whole fortnight turning on the prospect of him doing it all again, once it was clear that there would be no hoorays about Murray’s hip and that the Konta wave would crash against another great old champion. 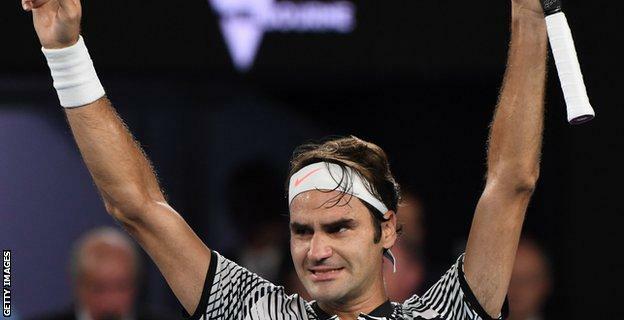 “At times I thought I was dreaming,” said the round-cheeked teenage Federer when he beat Pete Sampras, who had won the previous four titles, in the fourth round here in 2001.